Spitfire DAC audio amplifier from Firestone Audio Co., Ltd.
Hi-Fi Amplifier > Spitfire DAC > Firestone Audio Co., Ltd.
SPDIF Digital interface, include Optical and Coaxial input. 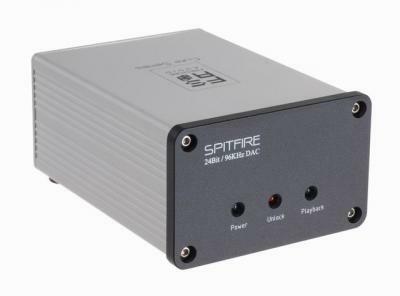 The Spitfire DAC is a perfect upgrade for the CD/DVD player and computer system with Audio. Digital inputs are auto selected via Toslink optical(priority) or RCA coaxial. Spitfire DAC > Firestone Audio Co., Ltd.